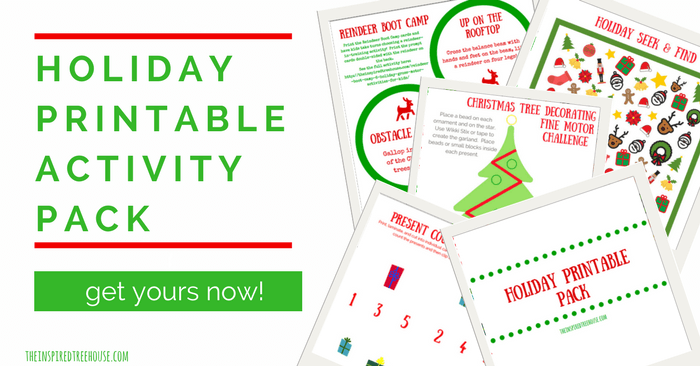 When we’re planning holiday and Christmas activities for our therapy practice, we’re always looking for ideas that get kids moving and challenging their bodies in different ways. Today’s Christmas tree balance activity is no exception! In this easy-to-set-up holiday activity, kids will work on balance, motor planning, coordination, and core strength! Let’s get started! 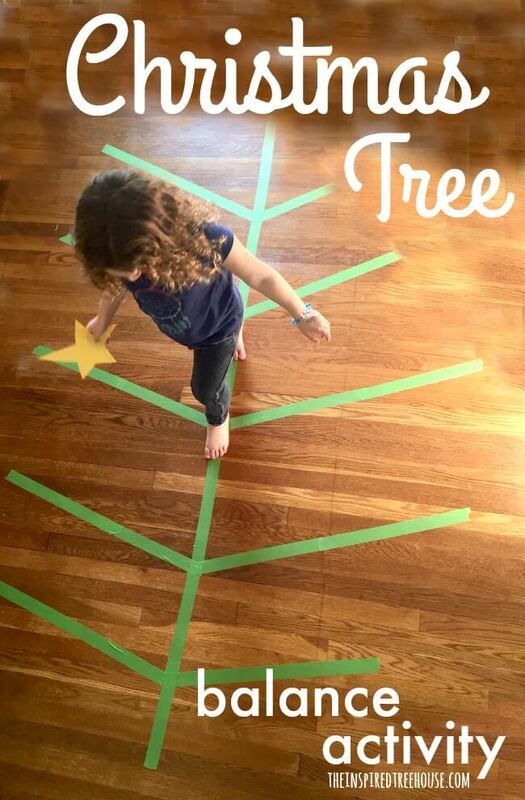 Using the painter’s tape, create a large Christmas tree on the floor in an open space. Place the ornaments in a pile at the bottom of the tree. Have kids take turns squatting or bending to pick up an ornament and then balancing along the trunk and branches of the tree until they find the spot they want to decorate. You can also place smaller pieces of tape along the branches of the tree to give kids “targets” for their ornaments. When kids get to their desired spot, have them bend or squat again (keeping their feet on the tape!) to place their ornament on the tree! 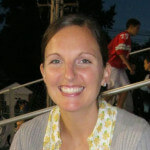 -Add a visual/cognitive challenge into the mix! Place small pieces of different colored tape on the branches of your tree and have kids match the correct colored ornaments to the pieces of tape. -Try other academic concepts – match an ornament with a number on it to the correct math fact taped onto the tree. Or match the ornament with the uppercase letter to the piece of tape or paper on the tree with the corresponding lowercase letter. 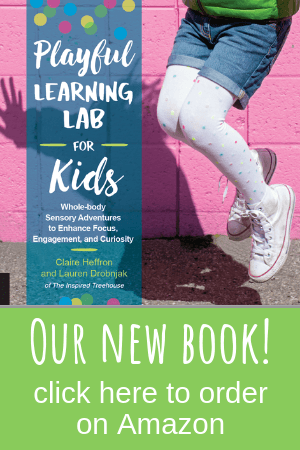 There are tons of possibilities based on whatever academic concept the kids are working on! If you like this one, you have to try our Reindeer Boot Camp activity – kids can’t get enough of pretending to be reindeer in training for their big day with Santa! Looking for more fun balance challenges? We’ve got you covered with these Awesome Balance Activities for Kids! And check out some of our favorite toys for promoting balance in kids! 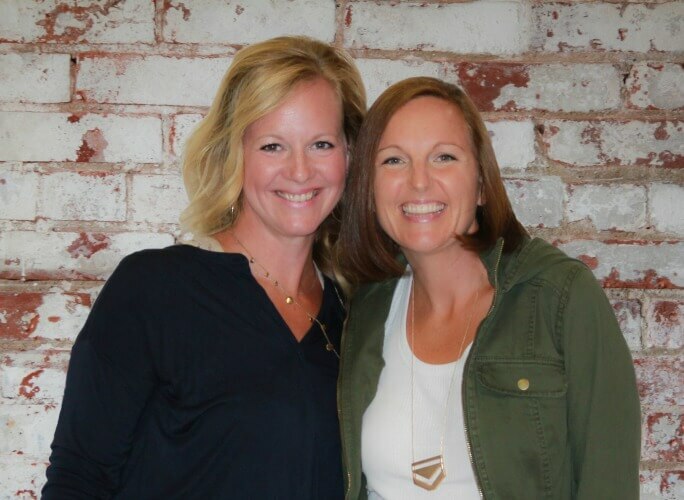 Learn more about how the visual system affects balance here. 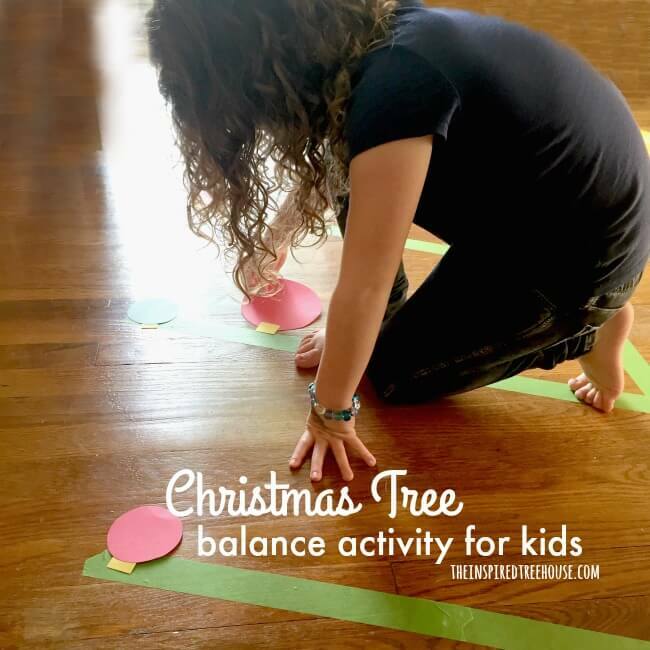 The Christmas Tree Balance Activity is a great idea. I was wondering if the ornaments are placed on the painter´s tape loose or if they stick to the tape. If they stick, how do you do that? Thank yoU! We just placed the ornaments on top of the tape. So they didn’t stick. If you have kids who might move or knock the paper ornaments, you can use beanbags or something else that will stay put a little more easily!